The Myers family photographed before the ceremony. Photo provided. The family of a U.S. Marine from State College who was declared Missing in Action from the Vietnam War placed a wreath in his memory at the Tomb of the Unknowns in Arlington National Cemetery during a ceremony on Thursday. 1st Lt. David Gephart Myers was a pilot in the Marine Corps and a member of Marine Observation Squadron 3. He was flying in a Bell Iroquois Utility Helicopter in South Vietnam when his aircraft was hit by small arms fire and crashed. His remains were not recovered. 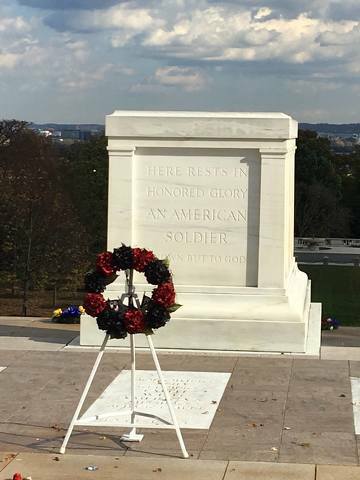 U.S. Rep. Glenn Thompson, R-Howard, requested the public wreath laying at the Tomb of the Unknowns, also known as the Tomb of the Unknown Soldier, according to a release from Thompson's office. The wreath presented by Myers' family on Thursday was first displayed locally during the Opening Ceremony for the Vietnam Memorial Traveling Wall, which was at Innovation Park Oct. 5-8. 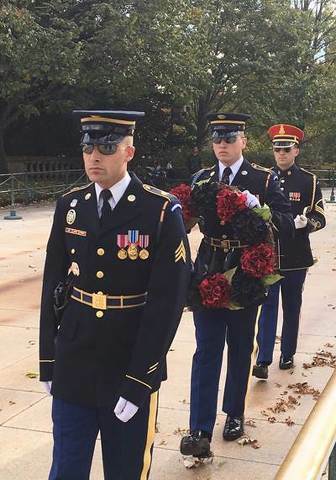 Those attending the wreath laying were Myers' brother and sister-in-law, Gary E. and Carol J. Myers; their children, David M. Myers and Curtis A. Myers; and their grandchildren, Gracie Myers and Jessie Myers. Close friends Joseph Tischer and Christine Tischer also attended. 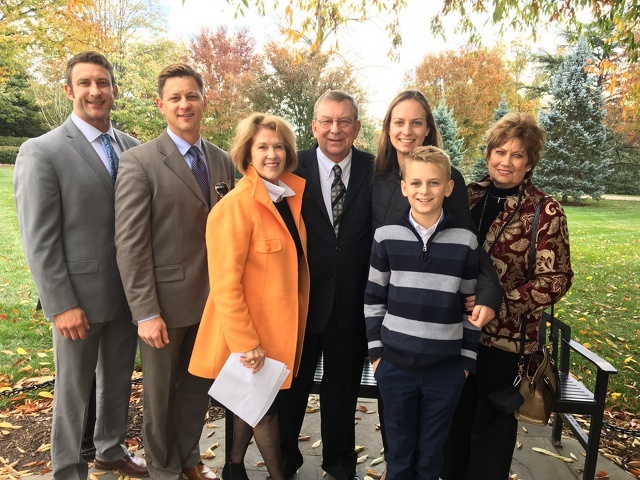 The Myers family prior to the public wreath laying ceremony. The No. 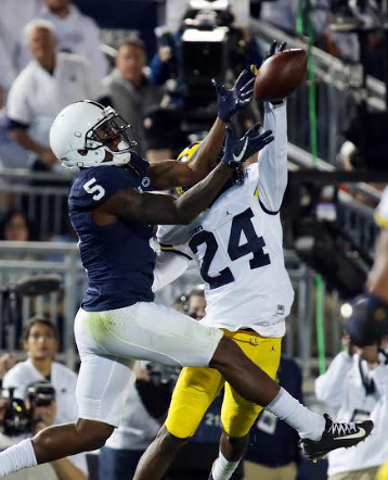 10 Penn State football team hosts Nebraska Saturday at 4 p.m. for Senior Day and so will some rainy weather heading into the weekend. In turn, fans are asked to make note of parking lot closures and to follow the below directions if their normal lot is closed. The home finale will air on FS1.